At the time that many classic cars were built in America, the innovations implemented by them seemed minor. However, they proved to be revolutionary for car technology. Many of the most important vehicles built in the U.S. since the end of World War II are overlooked to this day. Here are just a few underrated American classic cars and trucks. 1955 Chrysler 300: Many experience car enthusiasts will tell you that this vehicle was the first “muscle car”, even though conventional wisdom says that it was actually the 1964 Pontiac GTO. The 1955 Chrysler was called 300 because with the Carter 4 barrel carburetors, solid lifter camshaft, and a larger-than-usual exhaust, the engine generated 300 horsepower. This was the first modern American production engine to do so. 1949 Oldsmobile “Rocket” 88: This vehicle was the first mass-produced, popularly prices, thoroughly modern, OHV V8 to take hold in the marketplace. The first Oldsmobile V8 was rated at 135 horsepower- enough to make the 88 one of the quickest cars of its era and a dominating presence in early stock car racing. 1973 Dodge D-100 Club Cab: Pickup trucks were originally just thought of as work vehicles, and today many still are only used for functional purposes. However, this vehicle started a revolution in how pickup trucks were used in America- not just as workhorses but as personal transportation. This truck was the first of its kind to have enough weather –protected room that you could take your groceries home in the rain, and also featured two small jump seats to add extra passengers. These are just a few of the most underrated American classic cars and trucks. Many car enthusiasts cite other American cars they believe are underrated as well, such as the 1981 Dodge Aries and Plymouth Reliant, the 1960 Ford Falcon, and the 1977 Chevrolet Caprice. For many car enthusiasts in their 50s or older, the 1957 Chevrolet Bel Air is one of the most desirable classic cars there is. The ’57 Chevy Bel Air was a full-size vehicle that was produced by the Chevrolet division of General Motors. This vehicle was part of the second generation of Chevys and was called the “Hot One” in GM’s advertising campaign. Motor Trend Magazine gave the ’57 Chevy Bel Air top marks for handling. In 1957 the Chevy’s engine displacement grew to 283 cu in with the “Super Turbo Fire V-8” option producing 283 horsepower with the help of continuous mechanical fuel injection. These so-called “fuelie” cars are quite rare today, since most Bel Airs were fitted with carburetion. 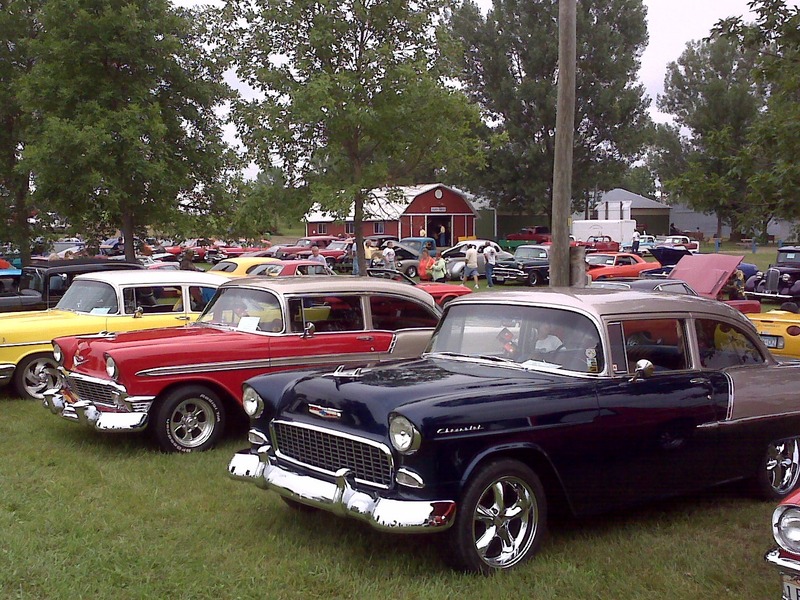 The ’57 Chevy Bel Air is among the most recognizable American cars of all time, and well-maintained vehicles, especially Sport Coupes and Convertibles, are highly sought after by collectors and enthusiasts. The most popular color back then and still today is Gypsy Red, especially in the convertible form. 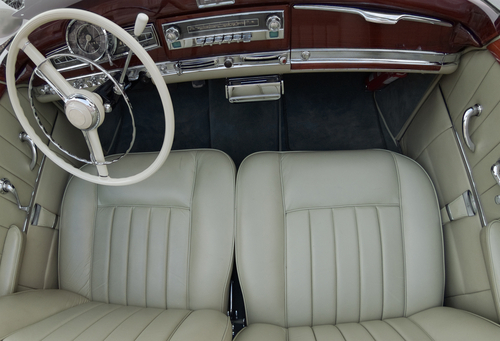 Red and silver paint and upholstery typically decorated the car’s fresh-looking interior. Are you an investor looking for alternative ways to make money, while having fun at the same time? 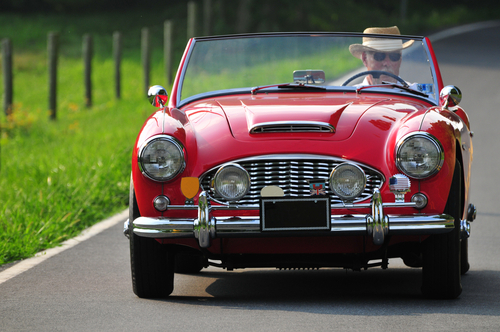 Investing in classic cars could be an excellent idea! 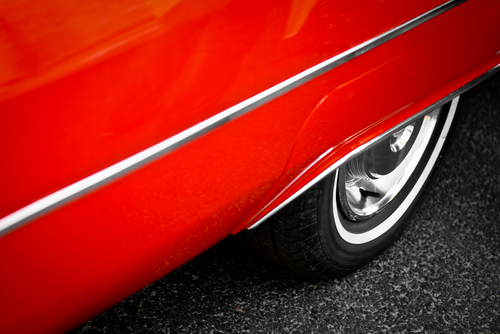 Many people now are leaning towards classic cars as an investment, due to their increasing value. Most classic car collectors are in it for their love of cars, but for those who are on the fence about whether to purchase a classic car or not, here’s why classic cars are a good investment. Many financial advisors are looking at classic cars for investor’s portfolios in the same way they have looked at property in the past. There are actually several financial agencies that track the classic car investment market, and the success rate has been very good. There are a high number of classic vehicles that are rising in value. Rare cars only get rarer, so if you find one that is considered rare now, purchasing it will be a good investment. People look for heritage and “pedigree”. You’ve got security in your investment if your car has a good history. Classic cars simply have a “cool” factor. Rare and hard to find cars are especially appealing to older individuals who may have had that car in their youth, or knew somebody that had one. Matchless is one of the oldest makes of British motorcycles, with the first models being manufactured at the start of the 20th century. This is truly a unique vehicle, with the original Matchless motorcycles being produced from 1901 only until the First World War. Matchless was the trading name of Collier & Sons, the father H.H. Collier and his sons Charlie and Harry. 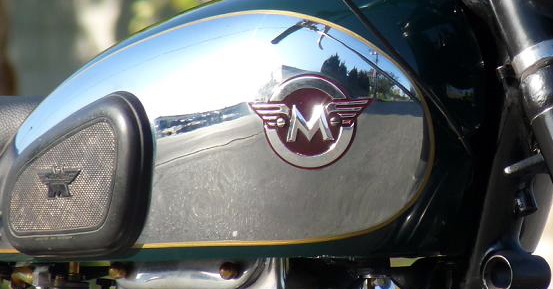 The Matchless tank badge was a winged “M” and the brand actually started as a bicycle manufacturer, as did many motorcycle manufacturers of the time. The first Matchless motorcycle prototype was made in 1899 with general production starting two years later in a factory in Plumstead, London. It was the Isle of Man TT (IOM TT) races, though, that put the company on the motorcycle manufacturing map. Matchless actually had a long history of racing participation and success. A Matchless, ridden by Charlie Collier, won the first single cylinder race in the first IOM TT in 1907 with an average speed of 38.21 mph in a time of 4.08.08. The Matchless machines won again in 1909 and 1910. Versions of the Matchless motorcycle have participated in many IOM TT and Manx Grand Prix races up to 1997 with varying success. When purchasing a car, there are many factors to keep in mind, such as gas mileage, insurance costs, etc. When buying a classic car however, there are even more important features and potential issues to keep in mind. Vintage and classic cars are a very fun item to collect for many people, however if this is your first time buying a classic car, it’s important to keep the following tips in mind. Do your homework. Know what the classic car you are considering is actually worth. With the advent of technology and social media sharing, it’s really easy to get in touch with experienced car collectors who are “in the know”. Don’t start with a rusty car. You may be able to replace panels or repair rusty spots, but once a car has rust, it always has rust. This is a sign that the car has not been taken very good care of, and you should probably pass on that purchase. Check that all the parts belong to that car. This means looking at the engine, transmission, and rear axle to make sure they all link up to the vehicle’s VIN number. The transmission and rear end will usually be stamped with date codes, which you can look up to determine if the dates sync correctly. Buy what you like. It’s easy to want to purchase a classic car that is being sold at a really good deal. However, if you do plan on taking any leisure trips in it, wouldn’t you want a car you’d truly love to drive? Consider the color. You may be surprised by how much a rare color combination can drive up the value of a classic vehicle. It’s always wise to invest in classic cars that are one-of-a-kind. As winter approaches, many classic car owners are getting ready to store their cars for 4-5 months. While the Classic Car Insurance policy we offer does not have seasonal restrictions, you might still be limiting your occasional leisure rides and car shows during this time to avoid the cold. If so, it’s important to know that leaving your classic car unprotected, even inside a garage, during the winter can be damaging. 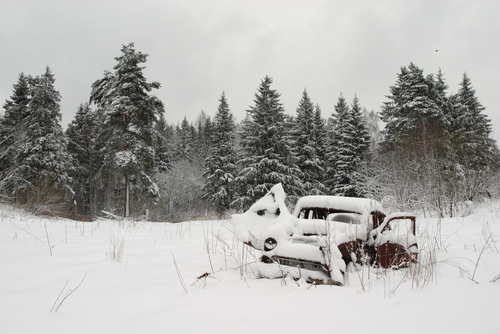 Below are some tips and ideas that will keep your classic car safe from icy winter conditions. Clean and wax the finish. Be sure to wash the car first to remove any dirt and foreign particles. Also, be sure to store any waxes and cleaners you use inside your house during the winter since the freezing and thawing process can actually change their chemical compositions. Check your coolant level. Make sure to correctly mix and fill your radiator with the proper coolant. If it’s been awhile, you might want to invest in a complete cooling system flushing process to ensure the job is done right. Check your oil level. Some experts recommend replacing the oil and filter upon storage and then once again in the spring when you take your classic car out of storage. Whether you take this step or not, it’s still important to make sure the fluid levels are correct. Prepare your fuel system. When gasoline sits, it can break down and form gum and varnish, which will clog a fuel system. Add a fuel stabilizer to your gas tank and run the engine for a few minutes to allow the agent to mix in with your fuel system lines. Adequately cover the car. Invest in a breathable car cover. Don’t rely on a plastic tarp, as they don’t allow rising moist air to pass through. Adequate coverage is also important to prevent critters such as mice from seeking warmth in your vehicle. Remove or disconnect the battery. When you do so, don’t place the battery on the concrete garage floor, since temperature fluctuations in the concrete will rob the battery and cause premature wear. If you have to store the battery on the floor, put a wood board down first, as this will serve as an insulator. Bring the car off of the floor. It’s a very wise idea to place the vehicle on four heavy-duty jack stands and make sure you put some padding between them and the cars frame. This will relieve spring tension and will keep your classic car’s tires from flat spotting while resting in one place all season.